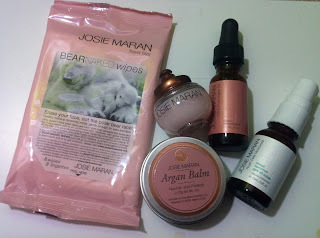 Sephora had a little set of trial size Josie Maran skincare before Christmas that came with Cleansing Oil, Argan Oil, Argan Daily Moisturizer, Argan Balm, and Whipped Argan Oil that I decided to purchase. 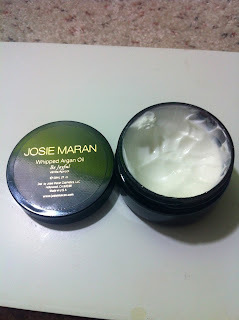 I have used her Argan Oil for a few years now and absolutely love it. 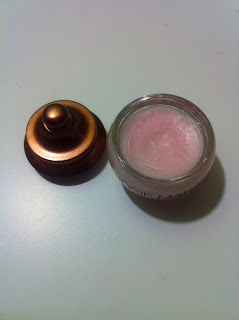 I wanted to try the Argan Daily Moisturizer and the Argan Balm. 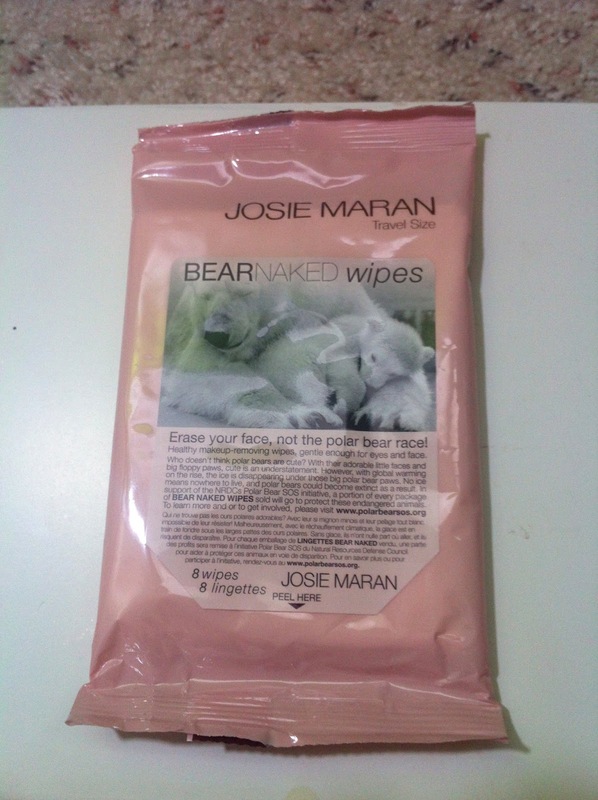 Sephora also had a Josie Maran Argan Essentials 500 point perk recently that came with the Argan oil, Bear Naked Wipes, Argan Cleansing Oil, and Argan Lip Treatment. I had been thinking about buying the lip treatment for ages and this came with a full size! I love the Argan Oil. 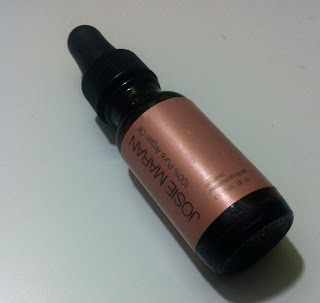 I have oily/combination skin, but I use Retin-A (anti-acne and anti-wrinkle!) and so I can get dry, flakey patches as well as some sensitivity at times. This really smoothes and soothes the skin and feels so luxurious. The Argan Daily Moisturizer is great. It has a mineral (titanium dioxide, zinc oxide) sunscreen of SPF 40. It is lightweight but hydrating and doesn't leave a whitish cast. It dries to a satin finish and feels nice and smooth on the skin. It also has a very faint fruity scent which I believe comes from the apricot oil in it. 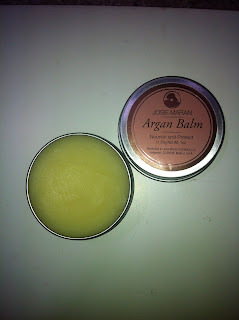 The Argan Balm is wonderful for cuticles, elbows, lips or anywhere else there is serious dryness. It is thick but melts when you rub your fingers over it. I use it on my cuticles and hands before bed and it keeps me hangnail free. The Lip Treatment is a little less think than I expected. It feels light on the lips, but nice and smooth and not sticky. I like my lip balms a little thicker than this one. The packaging is so cute. 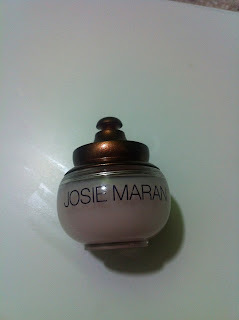 It comes in a little pot with a screw-off gold lid that reminds me a little of a canopic jar or something. 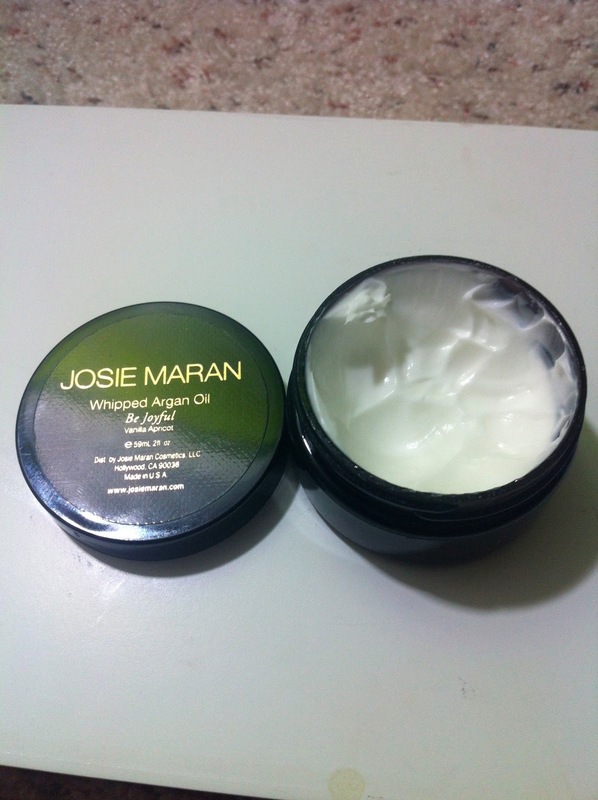 The Whipped Argan Oil is a very light mousse-like body moisturizer. It leaves a sheen on the skin for about fifteen minutes and then sinks into the skin leaving it nice and soft. It is a little slippery at first, but one it sinks in the slipperiness goes away. 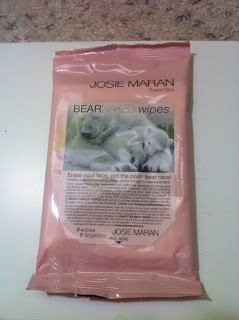 A big miss for me are the Bear Naked Wipes. They irritate my skin like crazy. I am used to using Neutrogena's Makeup Removing wipes, so I know it's not because they are cleansing cloths. They contain grapefruit oil which can irritate skin, especially around the eyes. Because the Cleansing Oil that came in the set also contains grapefruit oil I haven't tried it on my face. I recommend the Argan oil highly, especially for dry and sensitive skin types. I also recommend the Argan Daily Moisturizer for any skin type. Both of these have become staples in my skincare lineup that I use every day. 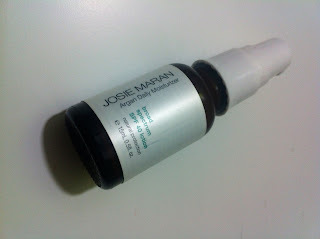 Have you tried any of the Josie Maran skincare? Love it?